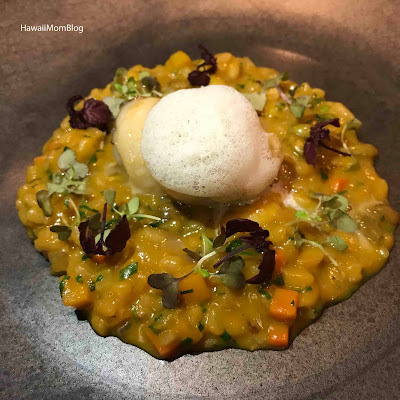 I recently had dinner at PAI Honolulu, where guests are able to opt from one of three dining experiences - Chef's Tasting Menu, Prix Fixe Menu, or Bar+Lounge. I opted for the Prix Fixe Menu, which showcased the flavors of fall (menus change with the seasons). My favorite dish of the night was the amuse bouche - the XO Taro Puff. The soft taro enveloped in a crunchy coating was so delicious - I probably could have eaten a plateful of those puffs! 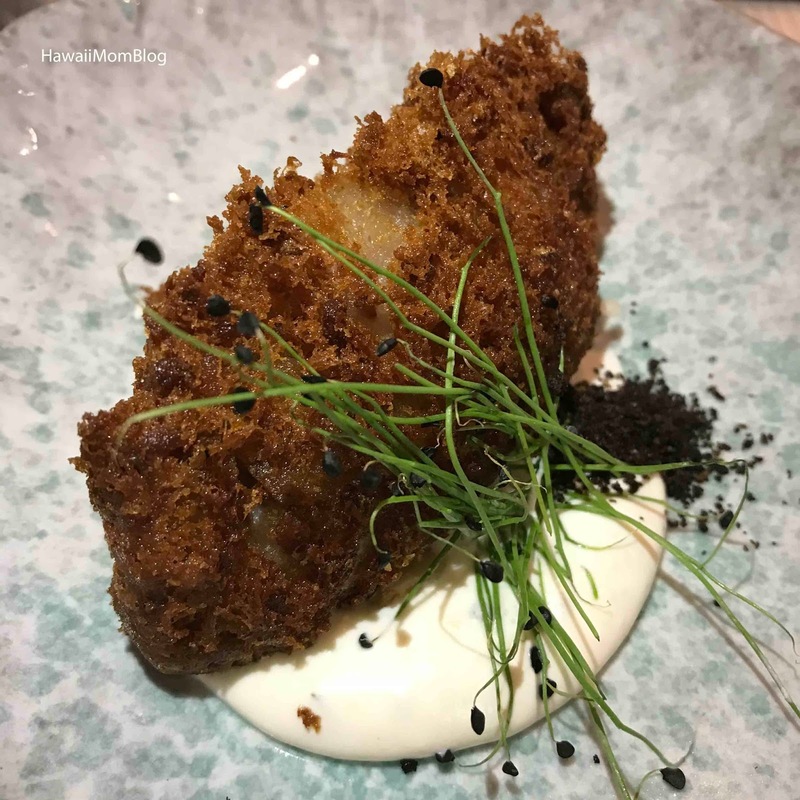 A friend who also opted for the Prix Fixe Menu thought the crispy crust was reminiscent of Chinese style taro and pork dim sum, and that the horseradish creme fraiche was a surprisingly good pairing. Although I enjoyed all of the different elements in the salad, I favored the mushrooms (I love mushrooms!). 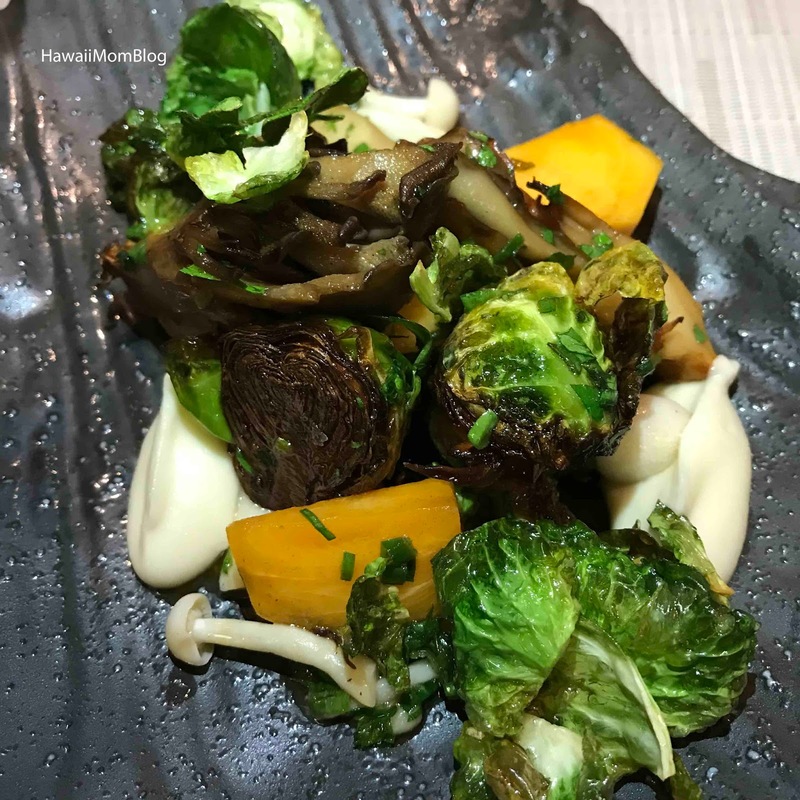 My friend acknowledged how there was a nice balance of fat and acid with the celery root puree and pickled hon shimejis, and that the persimmon was a shockingly good pairing with the brussels and maitake. I thought the Lobster Pumpkin Risotto was a nice variation on traditional risotto, with seasonal flavors highlighted throughout. My friend thought the lobster was cooked perfectly, and that the risotto had a nice texture and was subtle enough to not overpower the lobster; the acid in the dish tied it all together. I was surprised with how much I enjoyed this seemingly simple dish. 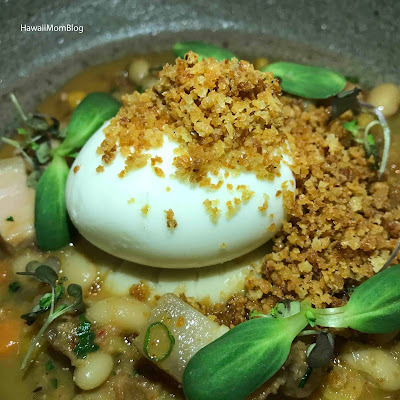 The combination of textures and flavors in this dish was comforting and satisfying. My friend commented how the white bean ragu was very reminiscent of a classic cassoulet, and that the egg was a nice component to enrich the overall dish. I'm not a fan of yams, so I didn't eat very much of the dessert. 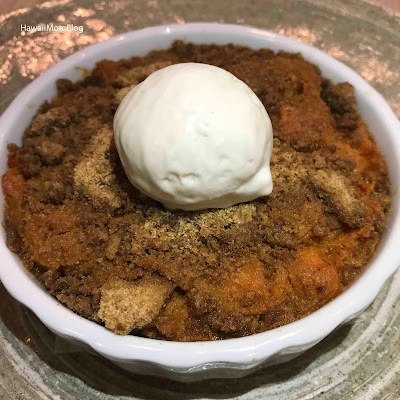 I loved the topping, however (had it been a different type of cobbler I'd probably have devoured the entire thing), and I thought the gelato was light and pleasant. My friend thought the dessert was a little too sweet, and that the sweet spices were a little on the heavy side. Service was attentive, and although there was a slight mix-up with one of the dishes (the 60+ Day-Dry-Aged Beef Striploin was requested as a supplement to the Soft Boiled Egg, but was served without it), I thought service was great overall.